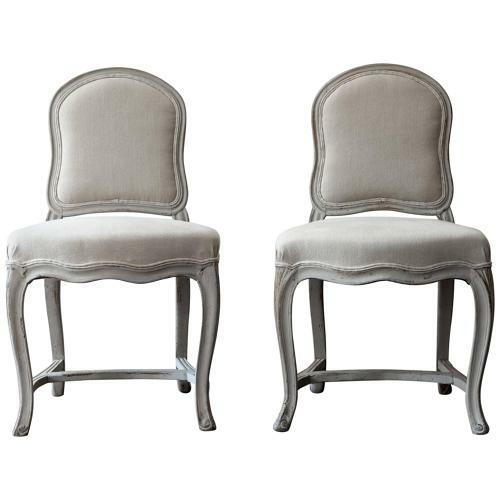 Pair of unusual 18th century French Louis XV Chairs, with minor variations in the apron. Made to be used by musicians at house concerts, they are suprememly elegant and would make a statement in most settings. Completely stripped, restored and reupholstered by us. Excellent. Paint retouched. Reupholstered. Good, stable condition..
H 35.04 in. x W 20.08 in. x D 18.9 in.